A tradition in Cody and among the many Plains tribes that attend and compete, the Plains Indian Museum Powwow—the longest running public program at the Buffalo Bill Center of the West—celebrates its 33rd anniversary this year. For many spectators, attending the powwow is a new and exciting experience full of color, movement, and celebration. Fancy Shawl Dancer Carol Melting Tallow at the 2013 Plains Indian Museum Powwow. Buffalo Bill Center of the West photo by Ken Blackbird. The event takes place Saturday and Sunday June 21 and 22 at the Robbie Powwow Garden on the grounds of the Center of the West. Grand Entries are at noon and 6 p.m. Saturday, and noon Sunday. Dancers range in age from Tiny Tots (children 6 and younger) to Golden Age (55 and older). Competitive dance categories include traditional, grass, and fancy for men and boys; and traditional, fancy shawl, and jingle for women and girls. Arts vendor booths surround the dance arena at powwow and feature authentic Native-made arts, jewelry, photography, beadwork, and more. Space is still available for additional vendors. Interested vendors who are enrolled members of North American Indian tribes and nations can find ore information and a vendor registration form on our our Plains Indian Museum Powwow page. 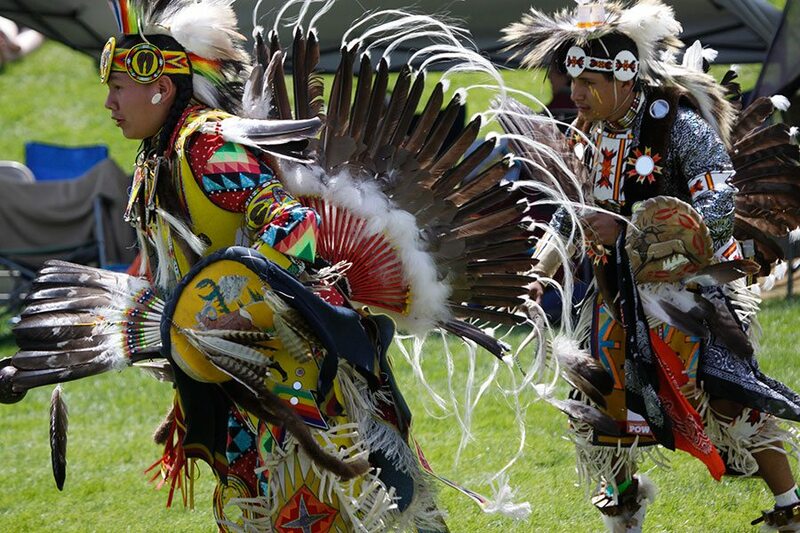 Men’s Traditional Dancers at the 2013 Plains Indian Museum Powwow. Buffalo Bill Center of the West photo by Ken Blackbird. Tickets for the Plains Indian Museum Powwow are available at the gate on the southeast corner of the Center’s grounds the days of the event (good for one day only), or in advance at the Center’s admissions desk. Gates open at 9:30 a.m. Tickets: $10 for adults 18 and older; $5 for youths 7 to 17; free for children 6 and younger. Center of the West members receive a $1 discount with a valid membership card. Ticket prices are separate from Center of the West general admission. 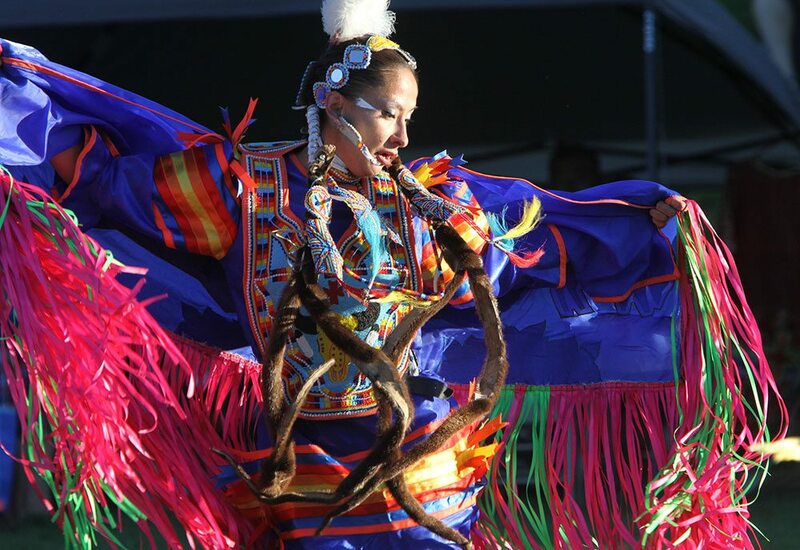 Dancers and drums participating in the powwow, as well as their family members, are admitted free. This year, the first one hundred dancers (excluding Tiny Tots) who register on Saturday morning receive a $10 gas card. The Powwow Garden is an outdoor grass amphitheater with limited bleacher seating; visitors may bring lawn chairs or blankets. In addition to the arts vendors, the powwow also features fry bread and Indian taco vendors, Kettle Korn, and other food and beverage concessions. The Plains Indian Museum Powwow is sponsored through the generous support of Dan and Mary Armour; Whole Foods Trading Company in Cody, Wyoming; Hal and Amalia Ramser; Artie Yellowhorse Jewelry; and Coca Cola Bottling Company in Cody, Wyoming. Since 1917, the award-winning Buffalo Bill Center of the West has devoted itself to sharing the story of the authentic American West. The Center is an affiliate of the Smithsonian Institution. For additional information, visit centerofthewest.org or the Center’s Facebook page.